When HP announced a while back that the company was abandon their plans of making Tablets using WebOS as Operating System, I literally thought that that was the stupidest idea that have ever came out from a big company as HP. Well, not counting the idea of not selling PCs anymore. 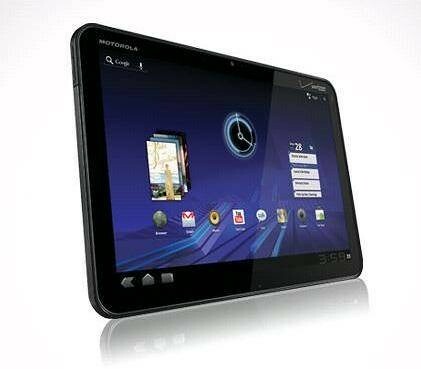 Today I found out that HP could be making Tablets with WebOS in 2013. And what's more important, they have plans to make WebOS an Open Source OS. Both, excellent news. The fact that they are planning or thinking about it, that's good. The issue is the year. Why 2013? That means that there are many people at HP that still very narrow ideas about the current market. But... At least... This "unofficial" announcement gives us some hope that we will see coming new good ideas and planes from this company. 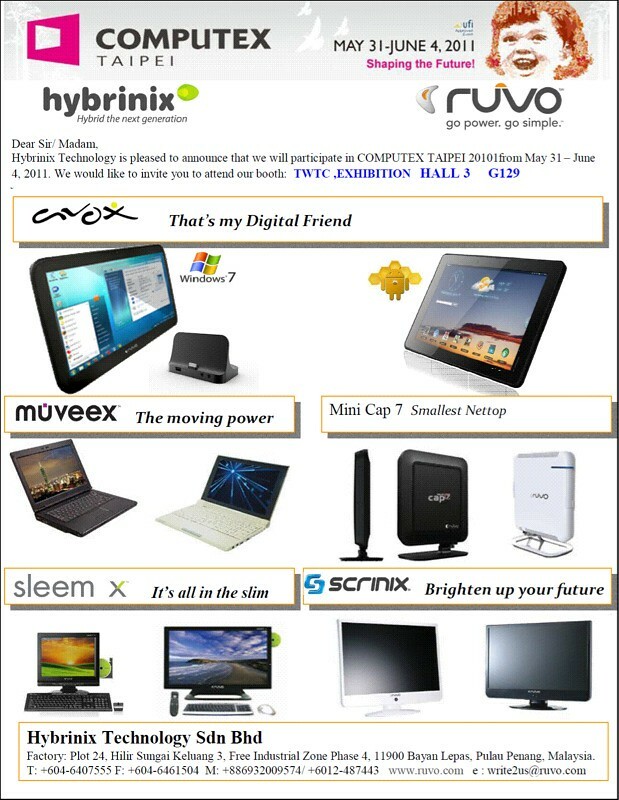 For nine consecutive years Linda at TabletPC2 has prepared what she believes are the best techno gifts for this year. Nice article with really nice pictures! What could be a better way to write a review about a device that using that same device to write the review. 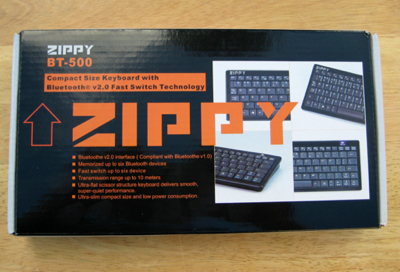 The Zippy BT-500 does not bring too much new to the market, but convenience. It's a compact BT keyboard, ideal to be used as companion with a Tablet or one of those small media center pcs or video players. 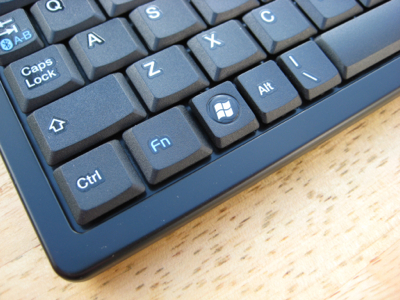 And the fact that this keyboard allows you to connect up to 6 devices and switch between them just by pressing Fn+ points you toward the idea or having one small keyboard in your living room to be used with whatever device you need to use at the moment whether it's your tablet, your game console or your Media Center PC. 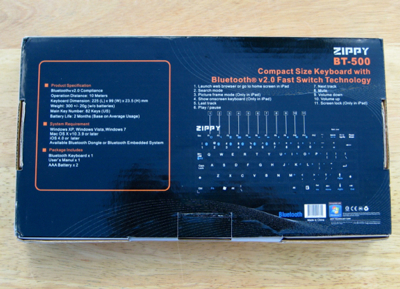 The keyboard uses two AAA batteries and have an ON/OFF switch at the bottom to maximize the battery life. The size of it is a little bit smaller than the length of the iPad as you can see from the picture. A person with small hands could easily write more than 35 words per minutes on it. Probably is not something to be used for long periods of time, but definitely a must have in the scenarios above explained. Due to the thickness of it, probably it's not an ideal companion for a Tablet, check the above picture. 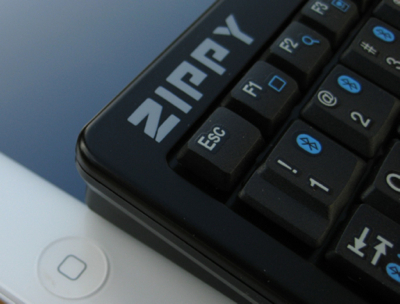 But if you carry your Tablet in a backpack or any other type of case, then the Zippy is small enough to be considered for this task. The Zippy is well constructed. It does not feel cheap. The keys do not rattle if you move the keyboard quickly. 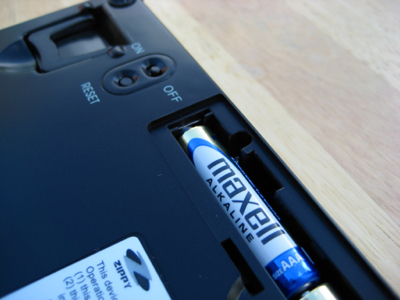 There is a little sound coming from the battery compartment that could be eliminated easily with a little sponge put between the battery and the plastic cover. 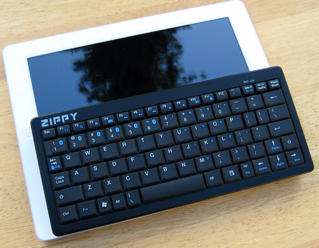 The Zippy Compact Keyboard is the ideal keyboard for all the devices in your living room. The connectivity to multiple devices make it ideal for this situation. Having the size of a control remote, I'm sure that nobody will complain about it. More if you are replacing with it a full-size keyboard. Yonkers, NY – The iPad becomes a whole lot more consumer-friendly as Consumers Reports brings its flagship publication, Consumer Reports magazine, to an even wider digital audience. Debuting with the January 2012 issue that hits newsstands on Tuesday, December 6th, consumers can subscribe to the iPad edition of Consumer Reports, which includes interactive features and an enhanced version of the monthly magazine. Access to the iPad version is included with all print subscriptions to Consumer Reports magazine. Additionally, Consumer Reports has expanded its suite of smartphone apps to help consumers make better purchasing decisions in their everyday lives. “The launch of the digital magazine format and expanded apps provide our readers with even greater access to the advice and reviews they expect and rely on from Consumer Reports,” said Chris Moody, Director and General Manager, Print Products for Consumer Reports. More than four million print subscribers to Consumer Reports magazine will have access to the iPad app as part of their print subscription. The iPad-only edition of Consumer Reports is available on iTunes at $4.99 for a single issue or by monthly or annual subscriptions priced at $2.99 and $24.99 respectively. Subscriptions to ConsumerReports.org, that include full access to the mobile website, are $26 and for an additional $12, the iPad edition can be added. Consumer Reports is also available on the Kindle Fire, The NOOKColor and NOOK iPad, iPhone and Android app as well as through Zinio. Consumer Reports Mobile Shopper ($4.99 for one year, non-recurring) allows users to search, browse or scan a barcode to access product information, pricing, reviews, and online and local shopping. This useful app offers ad-free access to expert and unbiased Consumer Reports’ Ratings, brand reliability evaluations, buying advice and detailed user reviews on thousands of products. Consumer Reports Appliances ($2.99 for one year, non-recurring) offers consumers peace of mind when shopping for appliances by sharing unbiased Ratings and reviews with a focus on products including dishwashers, washing machines, coffee makers, vacuums, refrigerators, blenders, and clothes dryers. Users can also compare ratings to see how different models stack up against each other. Consumer Reports Babies & Kids ($0.99 for one year, non-recurring) allows users to make better purchasing decisions when shopping for their babies or kids with Ratings and reviews straight from the expert testers at Consumer Reports. Product areas include car seats, strollers, high chairs, monitors, cribs, bike helmets and more. The app also helps to find the best deals online and locally. Consumer Reports Eco-Labels ($0.99) which is currently only available for iPhones, helps consumers decipher labels on products. The app offers a complete list of labels and claims, and users can browse by product type or subject. Users can access expert and unbiased label information for food, personal care, and household cleaners so that they can make the best possible purchase decisions. Consumer Reports TVs ($1.99 for one year, non-recurring) provides access to Ratings, brand reliability and buying guides for LCD, Plasma and 3D TVs. Consumer Reports Washers & Dryers ($1.99 for one year, non-recurring) gives consumers all the washer and dryer information they need before they buy including Consumer Reports’ Ratings, brand reliability and buying guides. Consumer Reports Hospital Ratings ($2.99) which is currently only available for iPhones, is a useful tool for consumers planning a hospital stay in the future. This app provides Ratings on how well hospitals performed an a number of areas including overall hospital experience, as well as explanations of drugs and discharge, room cleanliness, and more. Consumer Reports also offers the following apps for free: Consumer Reports News & Video, Consumer Reports Safety News & Recalls, and The Consumerist Tipster. According to PC Mag, the Amazon latest Kindle is not selling in the way that the company was expecting. I'm not surprised at all. Why? The battery does not last weeks like it does in the old Kindle or even in the most current versions with e-ink display. That's one point. The color screen is not good for reading in all light conditions, specifically under the sun or outdoors. And lastly, it's a lot better deal to buy one of the e-ink display Kindle. So, if your are thinking about buying an ebook reader this holiday season avoid the Fire. 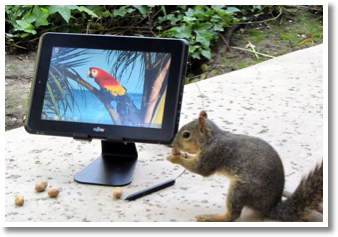 Linda Epstein has recently reviewed the The Fujitsu Stylistic Q550 Slate, a TabletPc so easy to use tha a squirrel can use it. This TabletPc is using Windows 7 in an Atom processor, this means that it's giving up performance against battery life, in this case, 8 hours. Another point is the HDD of only 64Gb (32Gb the cheapest one). Today a HDD of that side is practically nothing. The price is not bad. The 32Gb version is $729 and the 64Gb is $849. This machine has a dual digitizer, so it's touch capable and it uses too a digital pen. The best of the both worlds. The ink experience is really good on it according to Linda. The Dell Latitude ST is a TabletPc running a full version of Windows 7 with an Intel Atom processor. Still there is not any other info about this device beside what is in this video. Gumdrop cases are one of the best cases in the market. They are a little bit expensive but when you are talking about an iPad 2, with a price tag starting in the $400, my guess is that you want to be sure that's well protected. Gumdrop cases have served numerous schools where they have survived numerous tests including smashing iPad's against the wall, dropping down, Etc., but the best reviews are the one coming from the actual owners of these cases. "User 1: This is a great heavy duty case. I teach special education so I needed something that would protect my ipad if it were to get dropped, stepped on, or even thrown across the room. This is a great case and I would definitely recommend it." 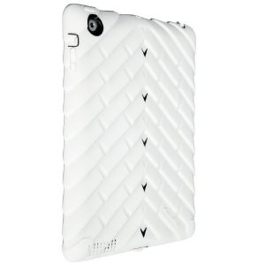 "User 2: I've been using this case for about a month now and it is one of the best cases I've found for the iPad 2. This case is something I would have expected from otter box. The versatility of the case and the superior protection is amazing. I have a 2 year old that loves to carry my iPad around and with her dropping it and the sticky fingers this is one of the only case that protects against all of it. I love the interchangeable screen protector that just pops out when the case isn't on. Which allows you to change quickly and easily when it gets all scratched up. I would recommend this case to anyone looking for maximum protection. The only problem I've had or negative thing is that the home button is very sensitive so I accidentally press it a lot." If you are one of those who think that using an Apple's product protects you of hackers and virus makers, think twice. Here is a video that proves that there are not prefect products even if they are made by Apple. The price for the Asus Eee Transformer has gone down a lot. Now you can buy the 32Gb model including the Keyboard/extended battery/docking station for less than $500! In my opinion, the Transformer is one of the best if not the best Android device in the market. 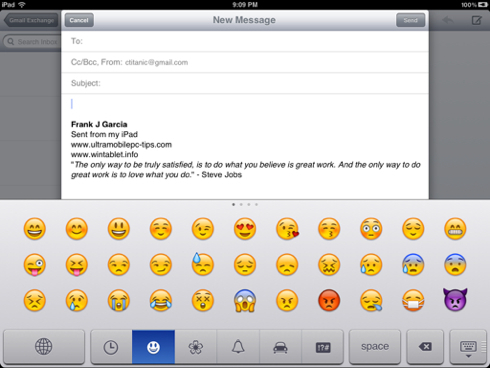 The fact that you can use it with or without keyboard gives you the best of the two worlds. And with the keyboard which holds another battery you will get 16 hours of battery life! Two working days! I just got an update from Dynamism about the OCOSMOS OCS9 launch event! I just wanted to update you on the OCOSMOS OCS9 launch event. The OCS9 and Smart O-Bar are now available for sale! Shipments are expected by November 30th and all OCS9 orders placed through November 18th will receive a $50 instant rebate. 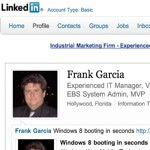 After the first time a user connects your app to their Windows Live ID, the user will always have a seamless single sign-on experience from any Windows 8 PC where they are signed in with a Windows Live ID. The same extends to your website, where they get a single sign-on experience if they are signed in to their PC with a Windows Live ID or signed in to any site that supports Windows Live ID, such as Hotmail or SkyDrive. If you are a developer click the link to the article to find some tips about how to start developing for Metro including this functionality. Recently PCWorld published a nice article about how Microsoft is redesigning all the elements in Windows 8, including the task manager. 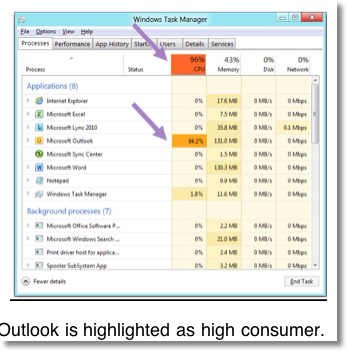 It's interesting to see in that article something that IT professionals know very well, Outlook is a monster sucking resources. In overall, the whole Office Package is the most inefficient software from the point of view of how it uses the PC resources. So the question to Microsoft is, is not time to do the same with Office? After testing few capacitive styluses I ended permanently using one made by BoxWave which price is now $10, that's 9 dollars cheaper than when I bought it. By buying this product you are helping to support this blog. Thanks. OCOSMO OCS9 is a new TabletPc that's about to be released by Dynamism. This machine will come with Windows 7 installed and there is where all the problems start. 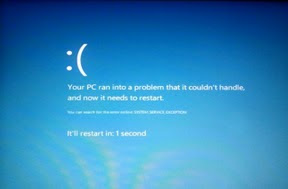 Despite the really short booting time, check the video at Dynamism, having Windows 7 in this machine is wrong! The machine comes with a 16Gb or a 32Gb SSD. This means that there won't be almost any space left in the 16Gb one after installing Office 2010 on top of whatever version of W7 comes in that machine. That will push many users to go with the 32Gb one. The 32Gb one will run into the same problem in few months. Whoever has used an 16Gb iPad will tell you that all it takes is few 3D or simulations games to run out of storage space. In Windows World everything uses more space. I have a TabletPC with 60 Gb HDD and I had a lot of problems last week trying to free 9Gb to backup my iPad before the iOS 5 upgrade. Even when the idea is that a TabletPc should be used as a complementary machine and never as your main one, the fact is that that does not apply to an immense number of users. Today a machine running Windows and having a storage capacity of less than 100Gb is almost useless for huge percentage of users. Definitely, it's not recommended for college students. Another problem is the Atom processor used in this machine. Just check the video include at Dynamism and you will notice that the Launching interface included in the OSC9 does run smooth. You may say that the games are but games sometime are tricky because you are running them at a lower resolution. The fact is that the OSC9 have issues running a graphic interface in the native resolution. Is this important? No, unless you want to mimic a Tablet or you are a gamer. But definitely is something to be consider. Now, keep in mind that I have not seen or tested the machine. I checked the specifications and watched a demo video. I would wait for a real owner review before scratching it from your Christmas list. The external design to this machine is really appealing. If you search in Google, you will find it in mostly all Mac/Apple forums, but, I do not know why, may be paying respect to Jobs, only few important pages are talking about the bad planned iOS 5 upgrade. And what worries me now is the question, is Apple ready to handle the whole traffic that iOS 5 will create with the new "Backup in the Cloud" concept and the coming new upgrades? It seems to me that they are not prepared. I could install iOS 5 in my iPad only 12 hours after the release and activate the Backup in the Cloud option only after 36 hours. And I still cannot create my first backup. The servers are so slow that took me more than 4 hours to download the 707Mb iOS file. The speed was comparable with the one we had in a old 56kb Modem. What can I say about iOS 5? There are few neat new features like the Tabs in Safari. The Reader option in some pages. 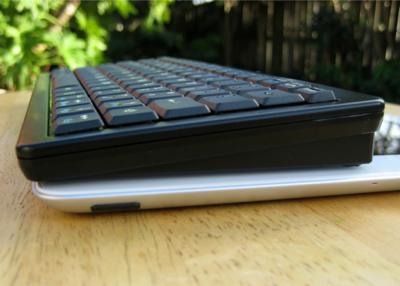 The split keyboard that makes easier typing with two fingers. But, let's be realistic. Nothing out the ordinary or innovative. The Wi-Drive is one of those accessories that is not perfect thanks to the ridiculous restrictions imposed by Jobs to Apple's products. This accessory is an external SSD that allows you to share information with your iPad or iPhone. In this way you do not have to use the space in your iPad with movies and other files that you can easily access via WiFi from the Wi-Drive. Why is not perfect? Because thanks to Apple's restrictions you cannot copy files from your iPad to this device. This is part of the legacy left behind by Jobs. These cases make me believe that in the same amount that Jobs contributed in the technology progress, he is also responsible for making this progress slower. Hamburg, Germany, October 11, 2011,--NAVIGON AG, a leading provider of mobile phone on-board navigation, today announced the launch of the first on-board navigation app for Windows Phone 7 smartphones. NAVIGON's app is available for Windows Phone 7.5 users and takes advantage of new features made available to developers with this new release such as the ability to save an address to the start screen. In addition, NAVIGON also launches a free traffic app for Windows Phone 7, traffic4all. Similar to a standalone navigation device, NAVIGON for Windows Phone 7 works in areas without a cell phone signal, so users can get directions and information anytime, anywhere. Other navigation apps for Windows Phone 7 are dependent on a cell phone connection to download map and routing data. 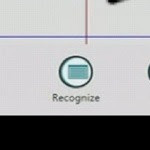 Therefore, no cell signal can render navigation useless or interrupted until a connection is reestablished. "We are pleased to bring our award-winning navigation app to Windows Phone 7," said Gerhard Mayr, NAVIGON vice-president of worldwide mobile phones and new markets. "The app includes many of the same signature features that have made NAVIGON's apps successful on other platforms, such as Android and iPhone. The user interface is fully customized to the Windows Phone 7 experience, so users of this platform will feel right at home." NAVIGON for Windows Phone 7 includes spoken turn-by-turn directions, visual lane guidance, live traffic information and rerouting, among many other features. NAVIGON's new app runs on Windows Phone 7.5 and also takes advantage of new features made available to developers with this new release. These features include the augmented reality function Reality Scanner, which provides an instant and effortless way of identifying nearby destinations while on foot; an option to select address information directly from the phone's contact list; and the ability to save a favorite or home address as a shortcut on the start screen. · NAVIGON MyRoutes: The app includes routing technology built upon NAVIGON's 20 years of experience in the navigation industry, so users get the most reliable routes available. The MyRoutes feature provides customized route suggestions with up to three different choices based on the user's driving style. · Reality View Pro and Lane Assistant Pro: Reality View Pro feature clearly displays photo-realistic views of actual highway/interstate signs, exits, and lane guide markers so users can see lane changes and exits in advance. Lane Assistant Pro prepares drivers to make an upcoming exit or turn with a lane map complete with arrows and actual road geometry. · NAVTEQ® maps: NAVIGON for Windows Phone 7 uses one of the most robust and accurate geographic databases in the world, providing the most accurate map data and points-of-interest information. The superiority of NAVTEQ® maps is defined by its verified accuracy, content richness, and its breadth of coverage data. · Traffic Live: NAVIGON for Windows Phone 7--using real-time traffic information available from industry leader INRIX--alerts drivers to traffic problems and automatically calculates alternative routes so they can avoid congestion and save time. · Reality Scanner: Reality Scanner is an augmented reality feature, providing an instant and effortless way of identifying nearby destinations. Users simply point their smartphone in any direction to see points-of-interest icons appear directly onto a live camera view, making it easy to find destinations on foot. 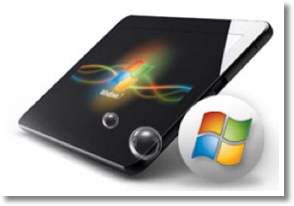 · NAVIGON Shortcut: Save any address as a shortcut to the Windows Phone 7 start screen. This allows users to start navigating, for example to their home address, with only one click. · Speed Assistant: Drivers can potentially avoid costly tickets by receiving alerts when they're speeding and getting notified of speed and red light cameras before they pass them. Additional features include Google Local Search, which allows users to find local points-of-interest instantly; one-tap access to help users find critical services such as hospitals and police stations in case of an emergency; and the ability to select address information directly from the phone's contact list. In addition to its turn-by-turn navigation app for Windows Phone 7, NAVIGON also announced a free traffic app: traffic4all helps drivers to avoid gridlock and save time by providing a clear overview of traffic conditions. NAVIGON developed an intuitive user interface that displays traffic incidents on a map with a single hit of a button. Colored road overlays indicate traffic flow, ranging from green for normal to red for traffic congestion or black/white for blocked roads. 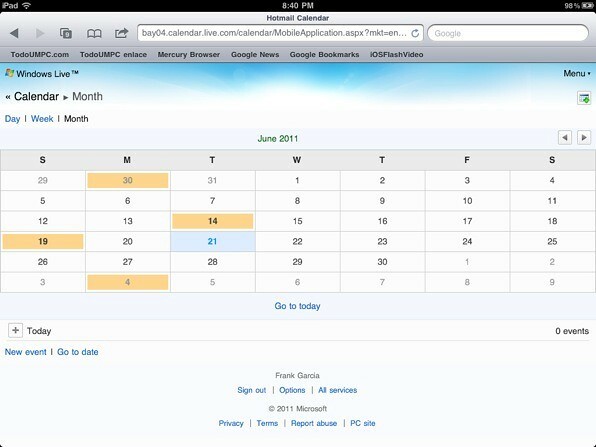 The app also allows users to plan ahead and look up traffic forecasts by entering a specific time and location. traffic4all uses traffic information from NAVIGON's partner INRIX. The leading traffic expert covers more roads than any other provider, delivering real-time traffic information that extends beyond major highways and interstates covering more than two million miles in North America and Europe. NAVIGON for Windows Phone 7 includes on-board NAVTEQ maps for the USA and is available for $49.99 in the Windows Marketplace. NAVIGON offers a special introductory price of $29.99 until November 15, 2011. NAVIGON traffic4all is available at no cost in the Windows Phone Marketplace. An upgrade option for $1.49 turns off the integrated ads. For more information, please visit: www.navigon.com. About NAVIGON AG - a GARMIN company: Germany-based NAVIGON AG was founded in 1991 and is a leading supplier of satellite navigation products. In July 2011, the company was acquired by Garmin Ltd. and operates as a fully owned subsidiary. The NAVIGON brand offers mobile navigation devices (PNDs), smartphone navigation applications, and solutions for the automotive OEM industry. Netflix, what the heck is going on? Let me start with a copy of the email that I received today and after that I'll post my comment on it. Is there anyone at Netflix thinking for a minute before taking decisions and make them public? Is there anyone at Netflix conducting customers' surveys asking simple questions like "Do you want to see two separate bills coming from what's now one service"? Is there any one at Netflix using what is call common sense? I was about to cancel my DVD subscription when I received the email about the separation of the two services (by the way, who is the one coming with these names!? Qwikster?). It seems to me that somebody needs to be fired at Netflix to end all this chain of bad decisions that have ended aggravating customers. I understand that Netflix is trying to make money, but I really believe that these bad marketing decisions have resulted in a complete opposite reaction. Is anyone at Netflix checking the number of accounts cancelled per month or even weeks? Is there a Marketing Department or everything is coming from a Micromanager AKA CEO? I hope that everything ends here because Netflix is no longer the only streaming and DVD source available. 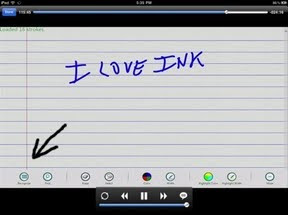 One of the features that I like most in a TabletPc is the "ink". So this report coming from WinTablet.info made my day. The post and video at the end of the page are in Spanish, but it's not that hard to understand what is all about. It seems that he recognition which is working in English only is not as good as in Windows 7 at least for now. There is a new version of Journal that "recognizes" better than the old one. The Recognizer Pad has been redesigned. New color, new buttons layout. Steve Jobs has died. It's all over the news. The person who invented the fonts but was better known for those ideas that never gained a position in the market and thanks to him became best sellers, has passed away. The hole he will leave in Apple was noticed yesterday in the Keynote. Will Apple survive his dead? I really do not know. Many thing will change now in Apple without his dictatorship. That's for sure. Anyway... Rest In Peace, Steve. You will be missed. Recently I was checking the news and I found an interesting poll which result was that only a little bit more than 9% of users still was navigating the web with IE. I do not know Betanews so I can not give any opinion about them but I think that if we publish a poll in a page dedicated to MacOS, probably the winner would be Safari. Do not you think? And that does not mean that Safari is dominating the market. To prove my point I went and checked the statistics of one of my pages. 43% is not that good but is not 9%! Polls sometime are tricky and far from representing the reality. Using an iPad has few challenges, like for example finding some help when things do not work how they supposed to. For example, my iPad stopped to show my location when I was connected via WiFi. Google showed me that it was a common issue reported in Apple's official forum but without an Apple's official answer. May be because Jobs still on medical leave and without him nobody else can determine if the issue is really an issue or simply that the user does not know how to use the iPad. After a lot of digging, I found somebody in one of those fan forums that I'm not linking just because after applying the solution I could not find the link anymore explaining what to do. Simple, go to Settings, General, Reset, Location. After that, turn off the iPad completely, by holding the Power button for few seconds and then sliding the Off bar. Once you turn on the iPad, your WiFi location should work again. The error S0a00 is the Comcast equivalent to the DirectTV booting process that last less than 3 minutes and happens in both systems when the power fails and then it's restored back in few seconds. The only difference is that in Comcast this booting process can take a lot more time... 10 minutes... 20... Or even more. Sometimes you even have to call Tech Support to get it fixed. Comcast probably has other advantages over DirectTV but this, this is not one of them. Here in Florida short power failures are common because of the huge amount of lightning strikes during summer. Update: I called Comcast and they were having some problems in my area. The signal was restored after 40 minutes. After that another power failure but this time I got the signal back in less than a minute. 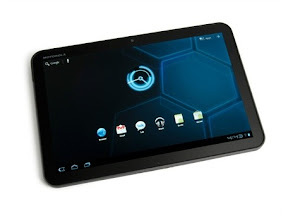 If you are looking for a Tablet here is really good deal, you can get the Xoom for $405 including shipping. Keep in mind that Wood.com is a page offering one day deals, so hurry up because this is a limited time offer. Is this a good idea? I'm nobody to answer this question because I have to confess that I never have played any of the games for this platform. But I have to recognize that everybody knows what is an Atari. So that said. 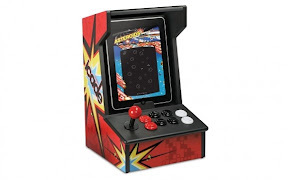 The iCade is like some sort of cabinet armed with joystick and buttons that will help you to enjoy more than 100 Atari games. A video worth more than 1000 words. Here is the link. Recently I got a WD Elements 160 Gb external HDD. Right on time because my RUVO MC was almost full so I needed to move few movies out of it. I connected the USB HDD and start moving the first 1.5 Gb movie. Something was wrong, a process that should not have taking more than few minutes now was taking more than 20 minutes. I did some research online and for my surprise found many users reporting the same issue since the release of Windows 7. There is not any fix from Microsoft so far but the good news is that I found following the above link in the wonderful Technet forum the solution. Disable Superfetch and Remote Differential Compression. Find "Superfetch" in the list, and right click > Properties > Change "Startup Type" to "Disabled"
Then Hit "Stop" then "Apply"
Going to Start: Control Panel > All Control Panel Items > Programs and Features > "Turn Windows Features on or Off"
Uncheck Remote Differential Compression and Click OK. Restart the computer after these changes. When you are in love with a piece of technology you will notice the presence of that technology in the most unbelievable places. That was the case of Linda, she went to a concert and she found herself surrounded by Tablet PCs that were controlling the sound of the event. Another proof that the time of Desktop PCs is gone. I was checking Skydrive in my iPad 2 and it was a nice surprise to see how good the other services offered by Microsoft at live.com were working in this Tablet. Of course, forget about uploading files to Skydrive from your iPad, but that's something that you should be asking to another Steve. Well, this is a good news. Having Skydrive redone in HTML5 opens a window of opportunities for users of Tablet and other devices. No. This still a tech blog. You are in the right place. 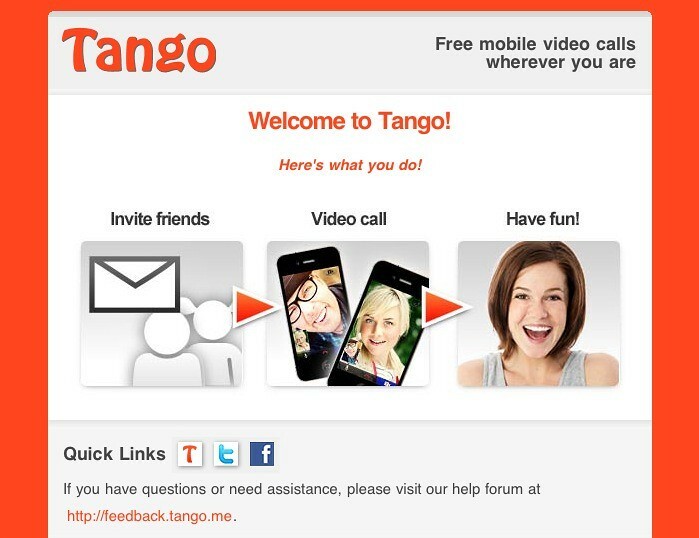 Recently a friend of mine recommended me this Software, Tango, for video conferences between two of the mains mobile platforms in the market, Android and iOS. The best of all, it's free. 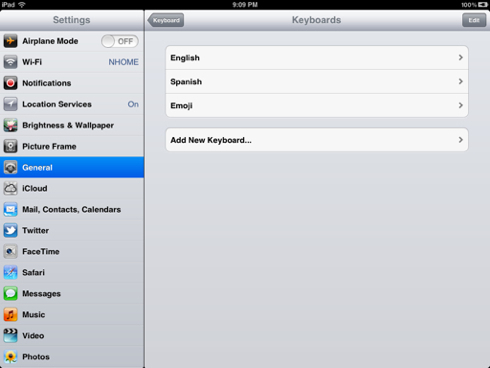 One more tip, you can use the iPhone version in your iPad 2. Consumer Reports has analyzed the merge between AT&T and T-Mobile and their conclusion down not point to any clear benefit for consumers. The price will go up. The quality will go down until it reaches the level of in satisfaction of At&T users. Like I said yesterday, the switch to AT&T is the worse thing that can happen to T-Mobile customers. Here is a report about how AT&T is planning to force T-Mobile users to switch to AT&T. I'll be a T-Mobile user until that moment when my phone won't work any more. When that happens I'll cancel my account and move my number to another provider. It's like I waked up into a nightmare where you are being chased by a monster or a murder. I was a client of AT&T for all my phone requirements, land line and cellphone. And I cancelled both services because of the high prices and the most important thing because of the bad support service brought to me by this company. Now this company that the only thing has given me are bad memories, high blood pressure, headaches and penalties in cancellation fees is coming and buying my current cell phone service provider. Is not this a nightmare? 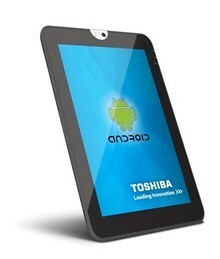 It seems that Toshiba is preparing conditions to start selling the still unnamed Toshiba Android Tablet at Amazon. If the name still unknown the price still a huge question mark. And I said huge because we are used to see huge price tags from Toshiba and I do not expect to see a miracle in this case. The specs in this case are again a lot better than what we see in those Tablets made by Apple. But I have one question to Toshiba: battery life? Yes, I know that we are talking about a replaceable battery but still, I'll appreciate if you dedicate at least two words in your huge product description at Amazon to tell me what is the battery life. Thanks. Motorola confirmed that the price for the Xoom with WiFi only and 32 Gb of storage will be $599! the same price than the iPad 2 with similar technical specifications. I said similar because the Xoom technically is better loaded. Like I have been saying if Honeycomb would have been a more mature OS, the fight against the iPad 2 could have end in a different way. Consumers Reports posted at YouTube a video presentation where they show the iPad 2 and the competition. The well known institution warns consumers about other cheap tablets in the market saying that they do not compare with the iPad 2 and that they are cheaper but you end receiving what you paid for. 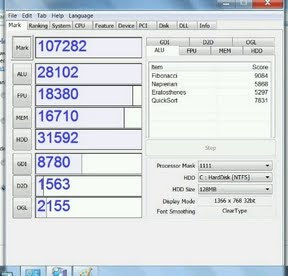 Today iPad Jailbreak posted the manufacturing cost of all version of the iPad 2. If this study is realistic then Jobs was bluffing when he was saying that the competency new how hard was to maintain the low price of the iPads. Well, for a company that is used to have profits of up to 200% to see a profit of 40% is hard. But 40% is profit and is not low. The iPad 2 has been in the market for virtually few hours and Apple is already rubbing under your nose adds for applications that will only work in the iPad 2 thanks to the dual core processor and a little bit better graphic chip on it. So there is the need already to spend at least $500 t get the new iPad. Very Apple Style. Recently a friend of mine that shares with me the same "admiration" for Steve Jobs sent me the link to this article published in one of the best known Webpage in the computer world. Arrogant, selfish and inconsiderate are just few of the complements that Jobs received in this article. Unfortunately my English vocabulary to describe what I think about Jobs is not that rich as I would like. Click in the link and see why I'm saying this. The release of Asus Eee Slate seems like a suicide in a time where all is about Tablets with 10 hours of battery life. Thanks Asus for keep the platform alive. Next version try to reach at least 5 hours of battery and low the price up to the $600 range please. Here is an interesting Chart. RIM and Microsoft are losing terrain against Android and Apple is holding the territory thanks to the Army of fanboys but you can notice the tendency to go down too. To think that once we were looking into a chart like this, no long time ago, but it was the Microsoft line the one going up. Definitely Conan O'Brian is absolutely right. No matter what we say the iPad 2 will be the next kid of the town. There are other tablets that are better but there is not a company with the punch needed to win the fight against Apple. That and the fact that Honeycomb still too immature for this fight. But all this is not a reason for no telling Apple that we are not impressed at all with the iPad 2. And that's what is this Video about. Here is a Video that will make you to remember your first steps in this world of bits and bytes. And for the record I'm not that old! Hum... That's what my wife says. The iPad 2 is official. 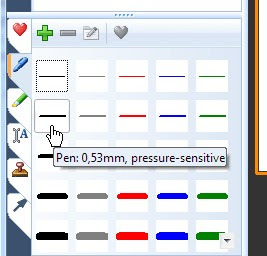 What is in this new version that we have not seen already in other Tablet? Nothing. The presentation was all about Jobs ridiculing Microsoft and the TabletPCs. A Jobs whose presence was showing the marks of a battle that in my opinion is making him pay too much. I'm not to far from the reality saying that the majority of the press in there was because of him and not because of an iPad that this time was not showing anything new. And iPad that was what the original iPad should have been. Android Guys has posted a very interesting note comparing the use of a Core Solo processor against a Dual Core in Tablets. The advantages of using a Dual Core are there including a 40% of saving of energy. But one more time... Apparently we are not ready yet for this technology. I just installed this weekend the SP1 for Windows 7 in my TabletPc Fujitsu P1610. It was not a big download, just around 60 MB. The installation did not take so long and the bad news is that I didn't notice any difference after the installation, what I suppose is not a bad news either. For Some guys the 1 GHz Dual Core processor of the Xoom Tablet is not fast enough. So they overclocked to 1.5 GHz. How that will affect the battery of this machine? I don't know but I hope that this point is not that important for those speed maniacs.